First, let’s ask and answer, what is a right of first refusal in Florida child custody cases? A right of refusal in Florida child custody cases is a clause/provision that is optional when drafting a Florida parenting plan. The Florida parenting plan governs as a backdrop/fallback/default guide for parents that have a great relationship and govern their own conduct on their own terms, and an ironclad schedule that applies daily for parents that argue, fail to communicate, and cannot agree on other terms. A right of first refusal custody clause in a parenting plan will state that the parent (during their timesharing) must contact the parent who is not with the child (not their regular allotted timesharing) to ask if the other parent would like to care (overnight) of their child at that time. In some cases, a right of first refusal will apply if the timesharing parent (parent currently with the Child) for more than four or six hours. For example, a right of first refusal in Florida child custody cases would apply if Mother, who is an on-call doctor, has this weekend with the kid(s), and is asked to come to the hospital overnight to treat patients. The right of first refusal provision would mandate that Dr. Mom call Dad to ask if he can or wants to take care of the kid(s) overnight because she has to go to work unexpectedly. Dad has the right to first refusal, though he is not obligated to take the extra timesharing. The right of first refusal will operate to allow him that option, chance, and choice. Just like a right of first refusal is optional in a Florida parenting plan, it is optional for the non-timesharing parent to exercise the right when it may apply/occur. Another example: Father has his son M-F, but this week on Thursday, for a business conference, he must travel to Texas for work. Father must call, text, and/or e-mail (or otherwise) Mother to ask if she wants their son on Thursday. If the answer is no, Dad can of course find suitable child care (unless a mutual agreement is necessary according to the Parenting Plan), or even have grandma or grandpa step in for the night. Most parenting plans are different because they accommodate unique couples, families, and circumstances. 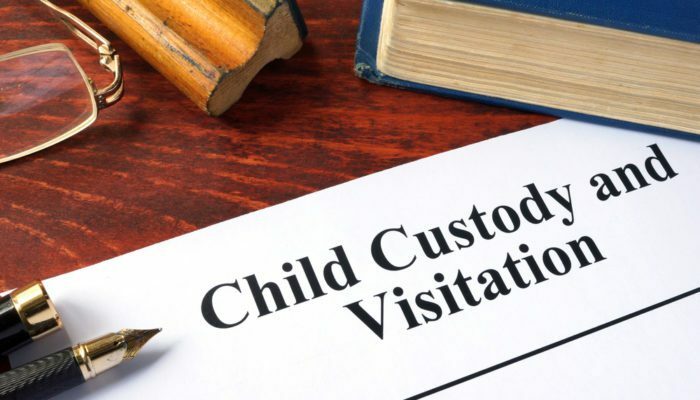 As mentioned above, a right of first refusal custody clause may specify the amount of time the timesharing gap in time, such as four hours, overnight, or otherwise, so the parents may govern their conduct appropriately. Communicate openly and forthrightly. What if I Refuse a Right of First Refusal? Buyer beware, caveat emptor. If you refuse a right of first refusal multiple times, would you be surprised to learn that your co-parent no longer contacts you when your Child needs overnight supervision during their timesharing? Establish a pattern of trust and reliability if you want this provision to work. Jonathan Jacobs is a child custody attorney in Orlando, Winter Park, Clermont, Kissimmee, Davenport, Montverde, Winter Garden, Kissimmee, Altamonte Springs, and all throughout Central Florida.